Louie, Manny, and Tito: Lost Trio La Tapatia…Guitar, Requinto, and Maracas. Beautiful songs, traditional harmony and the unmistakable feeling and atmosphere of Mexican Trio music. Louie owned the restaurant his Grandparents started a million years ago and he loves music, and sings and plays with passion. 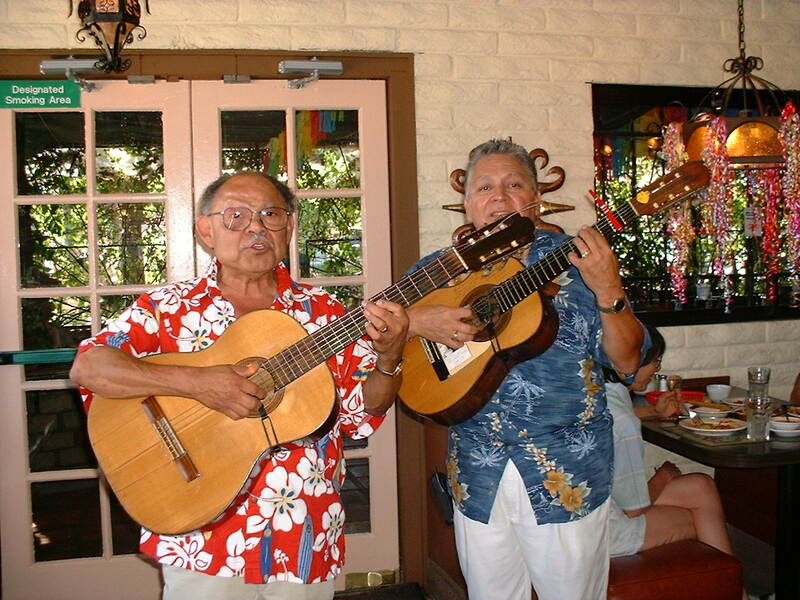 So with the other two amigos they would entertain at the restaurant. Food was great, we were there all the time and one night the band showed up at my studio to cut an album… Live – that evening… As they were arriving, the hot water heater burst, there was water all over the kitchen floor and somebody had on way too much cologne… What a night! Here are a couple of selections. One of the most fun and authentic sessions I’ve been a part of. Track 02. "Tu Me Acostubraste"